JCK Online reports that The Jewelers Vigilance Committee has released a new publication, “The Essential Guide to the U.S. Trade in Gold and Silver Jewelry.” The Guide was developed to provide clear explanations of the legal standards that govern the manufacture, sale, and advertising of gold and silver industry products and can help the trade to provide clear, accurate information to consumers. 3) Voluntary Product Standard (VPS) PS 68-76, reflects the accepted trade practice in the marking of articles made only of silver in combination with gold, either visually distinguished or not, and includes articles where the gold fully covers the base. The Guide also contains information that jewelry manufacturers must be familiar with and follow, including: when and how to stamp gold and silver; what a gold alloy is; and what is solid silver. 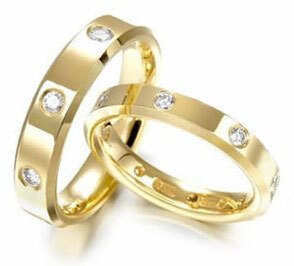 “The Essential Guide to the U.S. Trade in Gold and Silver Jewelry” is posted on JVC’s Web site. Looking for some good deals on used jewelry? San Diego jewelry shoppers take note that big stash of fine jewelry is going up for sale on e-bay soon. You can read about it here: Unclaimed Jewelry On Sale at E-bay.